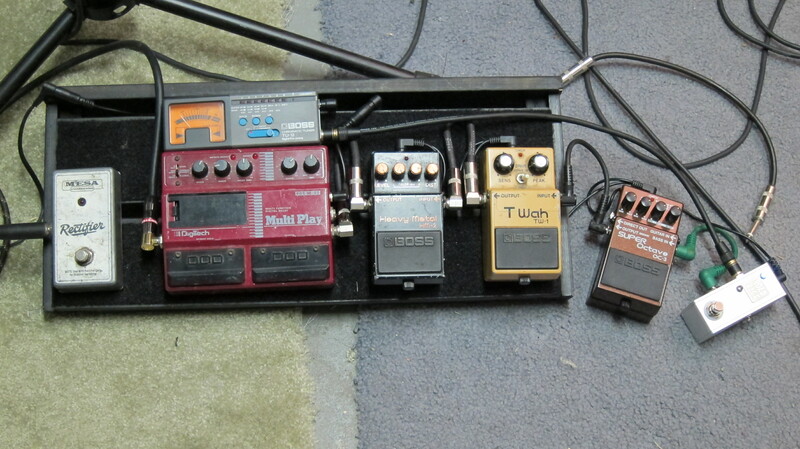 Here’s the pedalboard I’m using for the upcoming Catharsis shows. 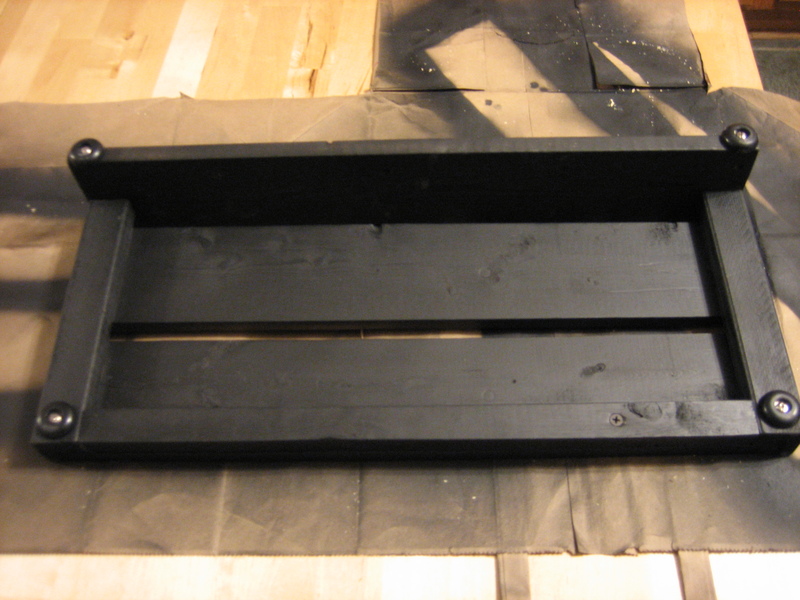 It’s a Pedaltrain Nano sized IKEA Gorm shelf I made a few days ago. It’s small, lightweight, and minimal. All I need. signal chain: TC Electronic Polytune Mini Noir -> modded Boss SD-1 -> custom Suhr Riot Reloaded clone, all powered by a Pedaltrain Volto underneath. 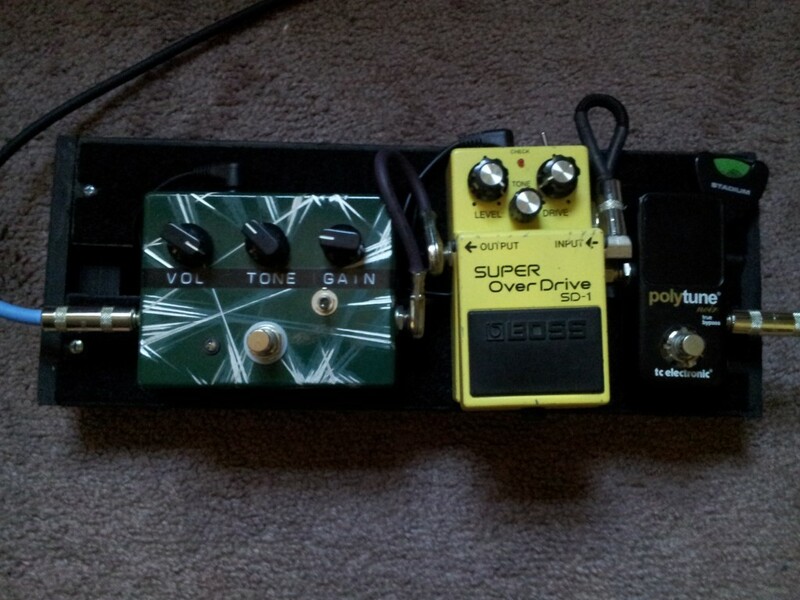 I took that to heart, and have striven to keep my guitar rig as simple as possible. If I needed to tune, I’d put my amp on standby, unplug the guitar from the amp, plug into the tuner, tune, plug the guitar back into the amp and turn it back on. Cumbersome? Yes. But my signal was pure, nothing to hold it back. No pedal to get kicked or stepped on accidentally. Less crap to haul around. However my latest band, Wormrider is not so simple. I’ve found myself needing and wanting effects to change my tone at times, or to make noises. As I came to grips with the fact I’ll be using some effects pedals in this band, I began to think about how I could make the set-up more simple. A daisy-chain power source was one way. 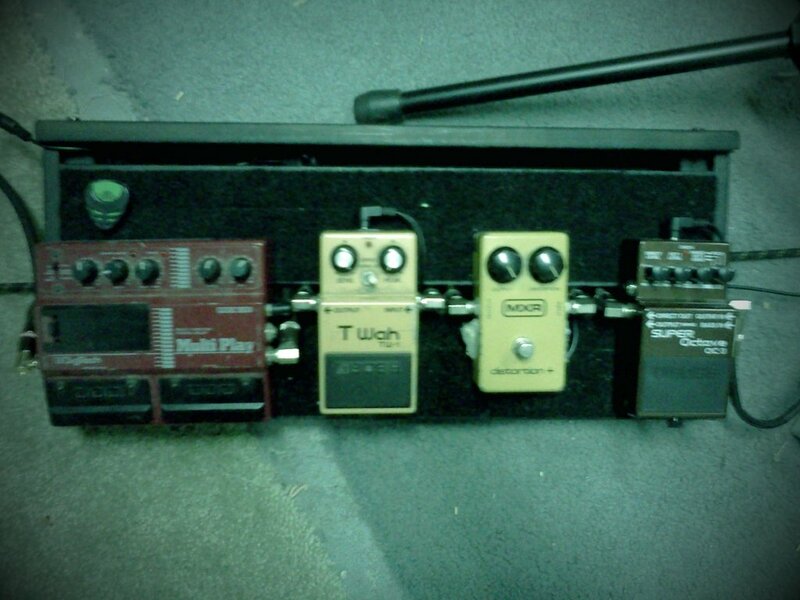 A pedalboard was another. 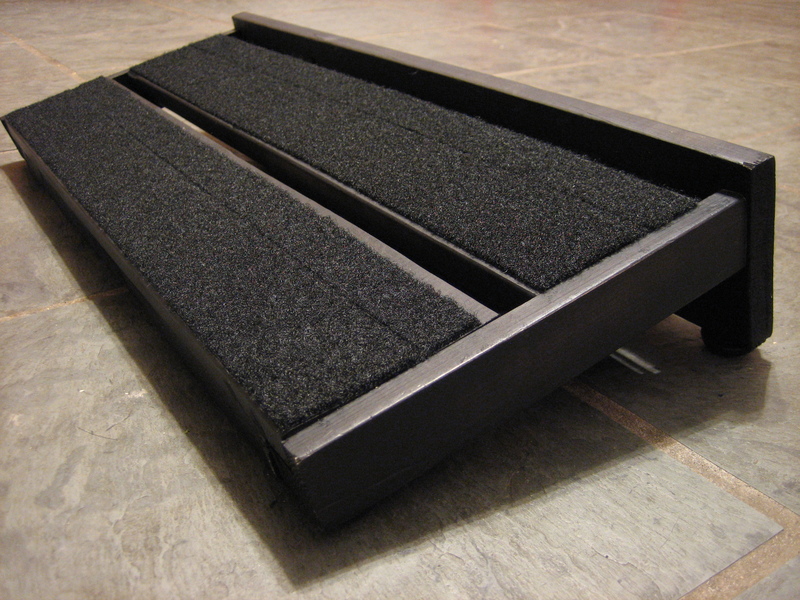 I did a lot of research on pedalboards. They were almost all more money than I was willing to spend, or the inexpensive ones didn’t have the features I wanted. Many were way too large. 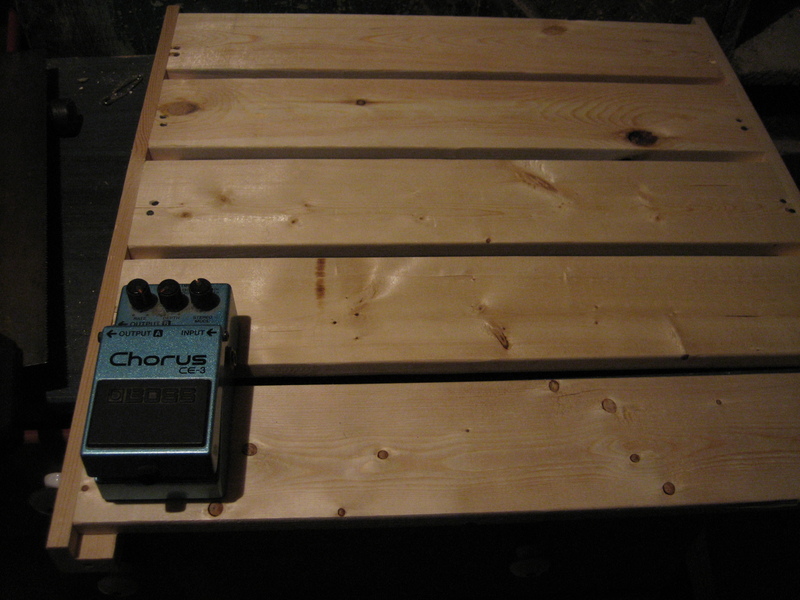 I remembered a post on Lifehacker about a pedalboard made from an Ikea shelf. So I did some more research and decided to build one. 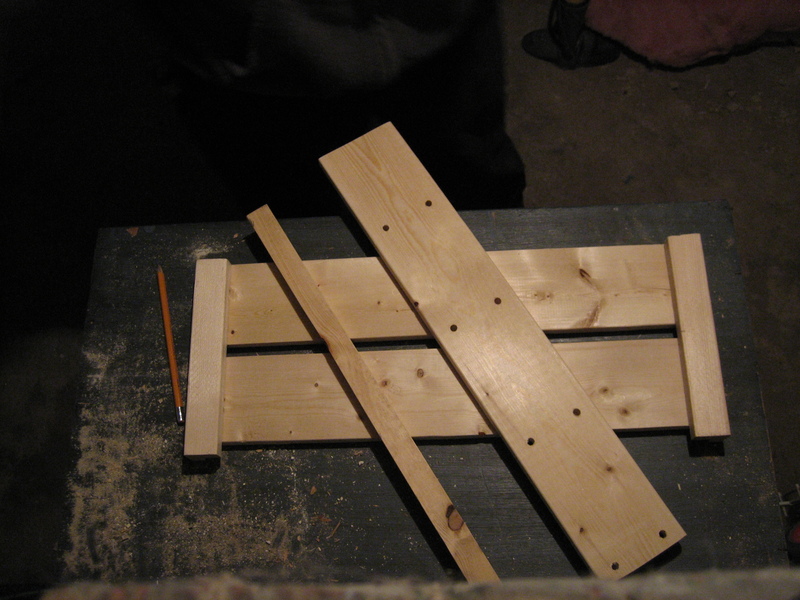 I liked the slatted base, that I could set the incline I want, and the inexpensive price. At the hardware store, I purchased some matte black spray-paint, industrial strength Velcro tape, and some non-slip rubber feet. 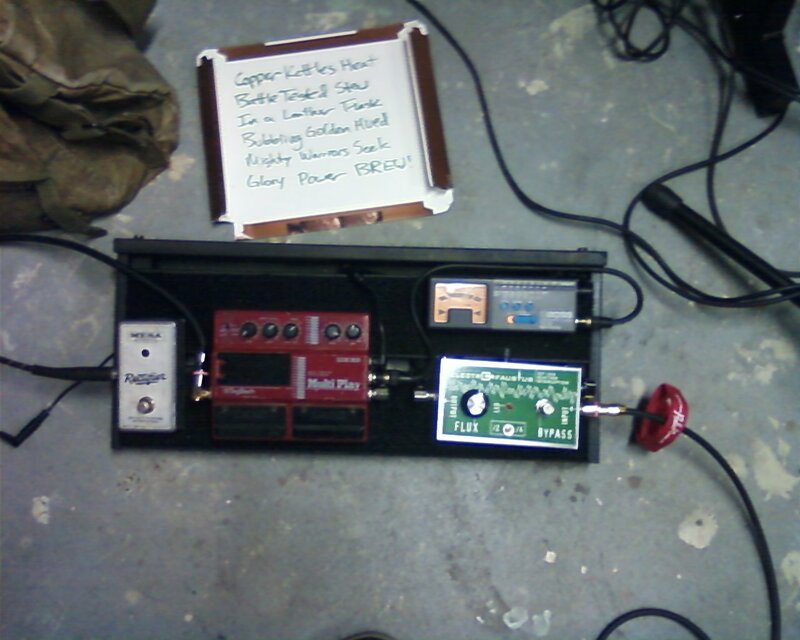 The full shelf and a typical sized effects pedal. I cut three slats off, measured and cut the extension posts, and found a piece of scrap wood in my basement for the front trim. After cutting the wood to size. 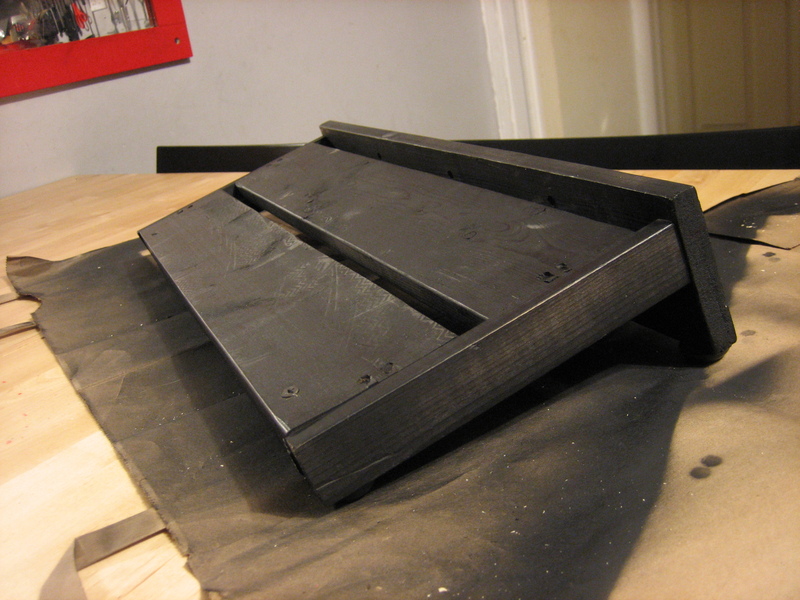 Next I sanded everything, especially the cuts I made, so there would be no rough edges. 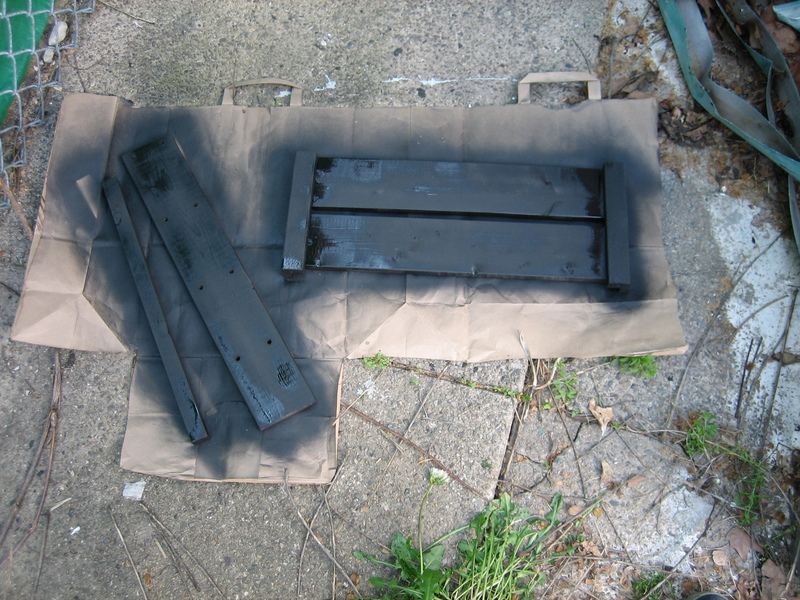 Then I broke out the spray-paint, giving each piece two good coats. 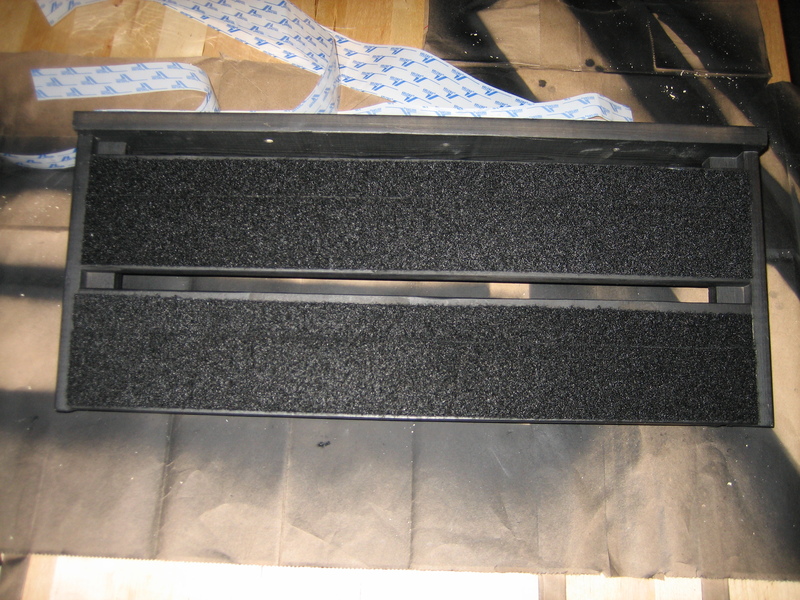 Once the paint dried, I assembled the pedalboard and attached the rubber feet. Getting it to sit level required a little troubleshooting. Turns out the shelf wasn’t perfectly flat, so I had to widen the holes on the extension post to wiggle it around a little bit. Here it is right-side up. 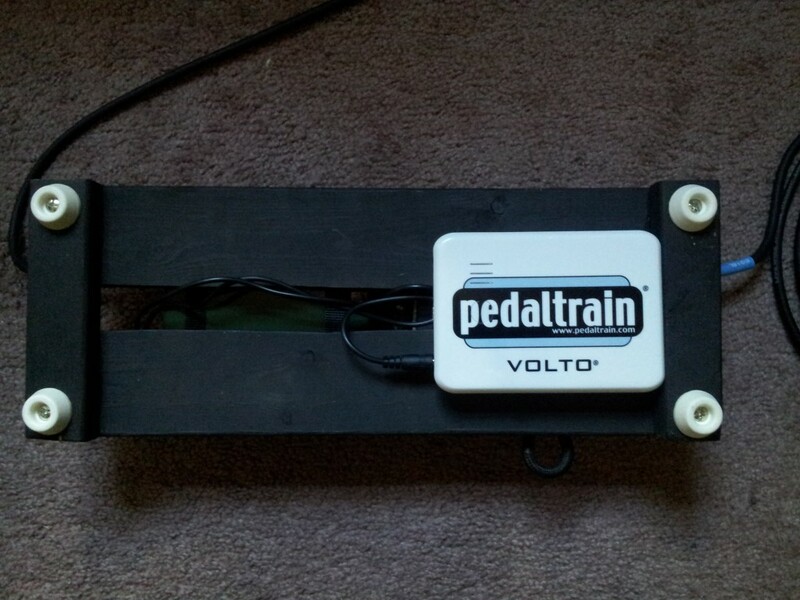 After measuring and cutting the loop side of the Velcro tape (the hook side goes on the bottom of each pedal) using a t-square and exacto knife, I stuck it on and the pedalboard was complete! Here’s another view, on my kitchen floor. Here are a few pictures of varying qualities, with pedals.